Only 53 percent of primary care physicians use their state prescription drug monitoring program, according to a new survey. The national survey found 72 percent of doctors were aware of their state’s program. Researchers from the Johns Hopkins Bloomberg School of Public Health surveyed 420 primary care physicians about their knowledge of prescription drug monitoring databases, which are designed to reduce prescription drug abuse. The databases can help physicians spot patients who are “doctor shopping,” or obtaining prescriptions from multiple physicians. Every state except Missouri has such a program in place, MedicalXpress reports. Most of the programs require doctors and/or pharmacists to enter information about prescriptions and dispensing of medications so they can be tracked. In some states, law enforcement can access the data. 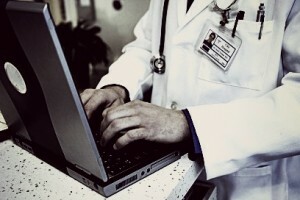 The survey found 31 percent of doctors who used the database found accessing the data to be very easy, while 38 percent found it somewhat easy. Fifty-eight percent said the information was too time-consuming to access, and 28 percent said the information was not provided in a format that was easy to use. Rutkow said a challenge for the programs is the lack of information sharing between states. “It’s a goal of course to ultimately have interstate interaction, especially in large urban areas that span multiple states,” she noted. Like everything, the devil is in the details. Government agencies don’t always pick the best tech support, instead going for the cheapest. So when doctors use their state’s PDMP, and it simply DOESN’T WORK….and doesn’t give them the patient information they need…they’re not thrilled about it. In my state, 20% of doctors use the system, according to a recent news report. Some doctors simply don’t want to, but others say it’s a good idea, but when they input their patient data, they get no response from the system. None. So after entering the data…two or three times…and nothing comes back, they have to move on and treat the patient. Dean H., I hear you loud and clear. In fact, I believe that PDMP use should be mandatory. But states must have a system that works. This is so sad. Things are put in place to help curb addiction and Dr. aren’t following it. 58% said it was too “time consuming?” Heroin addiction is on the rise across the country from coast to coast and one major reason is the overprescribing of opiates. Here in NYS efforts continue in an attempt to help, community forums are being held in neighborhoods everywhere, ISTOP, the Prescription Monitoring Program was put in place but this must be a joint effort of cooperation. We cannot arrest our way out of addiction and these programs were created because THEY WORK but NOT if DOCTORS DON’T! I wonder if the Dr. that said it was “too time consuming” would have the same attitude if their kid or their loved one developed an addiction as a result of a lazy Dr. they saw that wouldn’t take the time it takes to check?